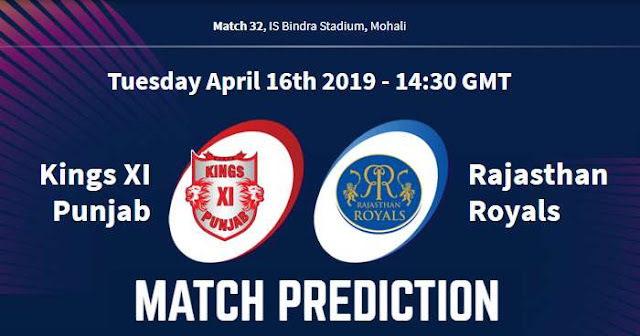 Home / IPL / IPL 12 / IPL 2019 / IS Bindra Stadium / Kings XI Punjab / KXIP / Match Prediction / Mohali / Rajasthan Royals / RR / VIVO IPL 2019 Match 32 KXIP vs RR Match Prediction, Probable Playing XI: Who Will Win? 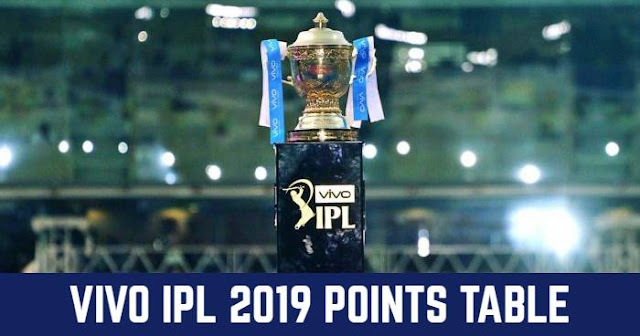 VIVO IPL 2019 Match 32 KXIP vs RR Match Prediction, Probable Playing XI: Who Will Win? Probable Playing XI for KXIP: Ravichandran Ashwin (c), KL Rahul (wk), Chris Gayle, Mayank Agarwal, Sarfaraz Khan, David Miller, Mandeep Singh, Sam Curran, Hardus Viljoen, M Ashwin, Mohammed Shami. Probable Playing XI for RR: Ajinkya Rahane (c), Jos Buttler, Sanju Samson (wk), Steven Smith, Rahul Tripathi, Ashton Turner, Krishnappa Gowtham, Jofra Archer, Shreyas Gopal, Jaydev Unadkat, Dhawal Kulkarni. With rain forecasted, the toss-winning captain would like to chase to keep track of the Duckworth-Lewis method. And also 3 of the 4 matches played here this season are won by batting second. The average score in the last five IPL games is 175. It looks good for batting. Little mosaic looking. It is a little bit challenging to hit sixes on this ground because of the dimensions. Anything above 180 will be par score at this ground. Our Prediction for IPL 2019 Match 32 KXIP vs RR Who Will Win? Kings XI Punjab are 5th on the points table with 8 points in 8 matches; 4 wins and 4 loss. On the other hand, Rajasthan Royals are struggling and are 7th on the points at points table with 4 points; 2 wins and 5 loss. Kings XI Punjab (KXIP) and Rajasthan Royals (RR) have played 18 matches against each other head to head in Indian Premier League (IPL). Kings XI Punjab have won 8 matches and Rajasthan Royals have won 10 matches of those 18. Kings XI Punjab are coming with two consecutive loss against Mumbai Indians and Royal Challengers Bangalore and on the other hand, Rajasthan Royals are coming with a win. Kings XI Punjab have a 3-1 win-loss record in matches at IS Bindra Stadium, Mohali in IPL 2019. The Rajasthan Royals captain Ajinkya Rahane has been very lucky at coin-tosses; he’s won 5 of the 7 tosses this season and Ravichandran Ashwin has won only 3 tosses in 8 matches. Jos Buttler has scored half-centuries in his last four innings against KXIP. Steve Smith and Chris Gayle have strike-rates of 94.25 and 96.22 respectively against spinners this season. In our prediction, Rajasthan Royals are likely to win this match. "Obviously you need to be in the crease. We've seen it even in the other games, everyone's having it in their minds. But these are small things and we'll have that in control," replied Shreyas Gopal when asked if the batsmen will be conscious of what happened at the non-striker's end in Rajasthan Royals' previous meeting against Kings XI Punjab.